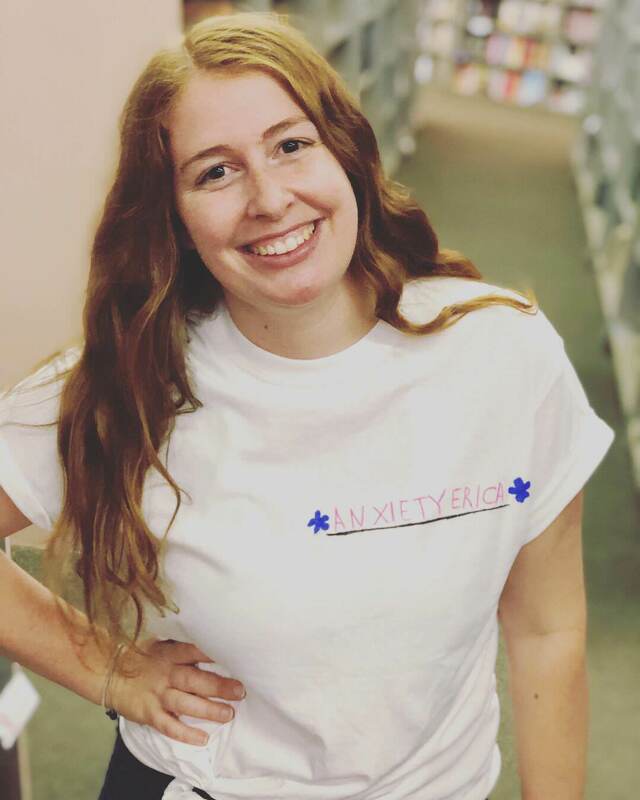 I’m Erica and I have anxiety. When I’m not attending therapy for GAD or Generalized Anxiety Disorder, I find so much value in writing about my journey with mental health. By day, I’m a 26 year old copywriter living in San Diego with my 11 year old Chow mix Gussie and by night, I’m sippin’ peppermint tea and typing those anxious thoughts away. It’s always been a true passion of mine to relate to others through my writing – especially when it comes to mental health. The name of my blog has a special meaning. It’s what I’ve named my anxiety – it’s a wonderful exercise in therapy to name your own anxiety in order to separate yourself from it. Anxiety Erica is just one part of me, but it’s brought me so much self-awareness, purpose, and meaning. I truly hope that you will leave my blog feeling just a little less alone in your anxiety. The more we talk about it, the less stigma there is surrounding anxiety and mental health. Let’s get through this together.